Set up for the perfect holiday even when wet. Large flat screen TV with dozens of DVD's, books and games for when it rains..
Short drive to Whitianga and all the attractions this has to offer. . Fishing, boating or just relaxing. Great surf casting off the beach. Great walks and activities around the Coromandel. Surrounded by beaches, rivers, native bush and a national marine reserve, the Whitianga region offers an amazing range of fun activities, attractions and adventures in beautiful natural settings. If you love nature and the outdoors, the Coromandel is a perfect New Zealand destination with quiet unspoilt beaches, stunning walking tracks through native nikau palm groves, excellent fishing, diving, kayaking, boat tours and so many other adventure activities out on the water. Whitianga is also home to superb day spas and retreats for those wanting a more relaxed and chilled-out experience. Visit the award winning Mercury Bay Museum for insights into Whitianga's fascinating heritage and history of early navigation, discovery, maritime disasters, great explorers, fishing, and the eary kauri timber and dairy industries. It was perfect to be so close to a very nice beach and so close to town. The house is very close to the main road but it was surprisingly quiet and peaceful. The house is clean and inviting and the kitchen well equipped. We had everything we needed to feel comfortable and happy. Quiet house near a perfect beach. 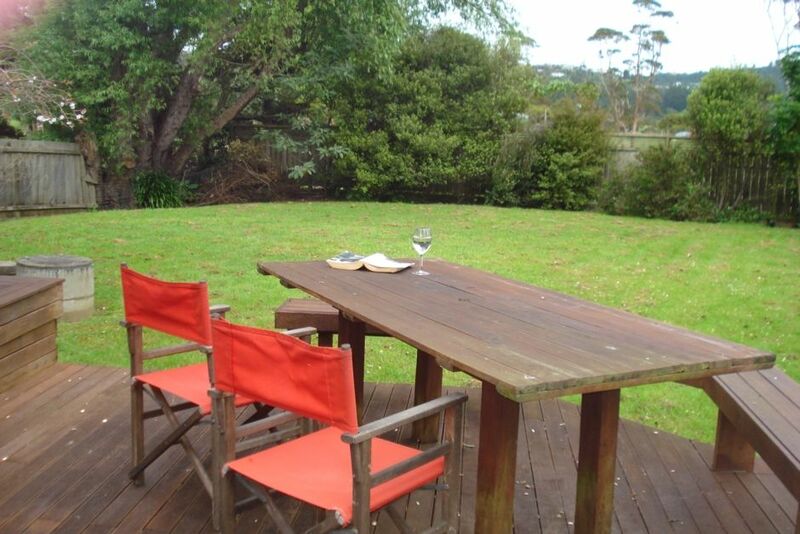 Well equipped house for a family with all of the essentials and within easy walking distance of Simpson's beach. There was a good variety of sleeping options within the three bedrooms. Kitchen and BBQ facilitated meal prep and we enjoyed outdoor meals on the deck every day. The laundry access was a welcome addition . We truly enjoyed this bright welcoming vacation home. Fantastic location near a beautiful beach. Lovely cosy bach with lots of kiwiana decoration. Well equipped. Very comfortable beds. short walk to beach, private and plenty of room for kids to play on grass.